or may be it was a limited edition. But then it pops up at an auction or second hand dealer, but at closer inspection, the watch is not in the desired state. So also this diamond set Tank Americaine. This large two row version with mechanical movement is from the eighties and is hard to find second hand. So when finally this one appeared at a dealer, the decision was not difficult to make. The watch however, must have been mistreated in it’s previous life since the dial was discoloured to yellowish, due to constant bright sunlight, the glass was scratched nearly everywhere, which caused ugly reflections on the dial and the watch had been polished by an amateur. The deep scratches could not be missed on the sides of the case and the crown had lost it’s sharp appearance, due to heavy polishing. 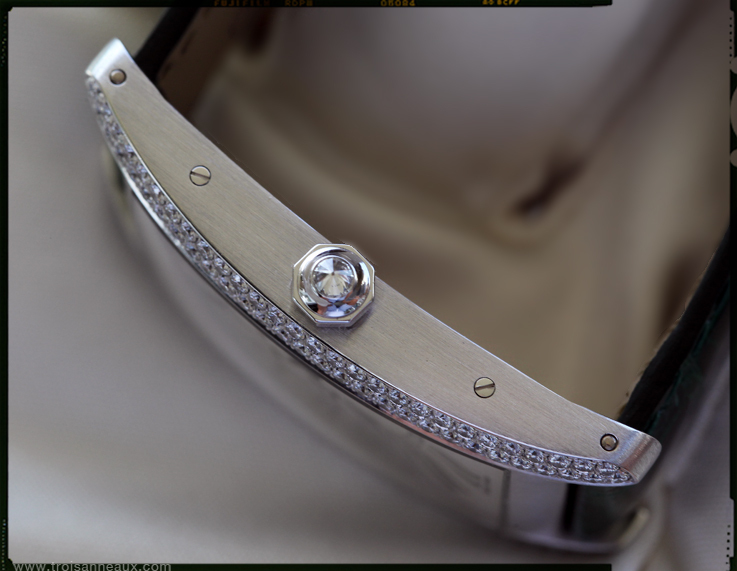 The difference is clear when comparing the pictures of the crown, before and after the service. After keeping he Tank Americaine for more than a year in it’s box, it was finally brought to the Boutique, for a full service of the movement. 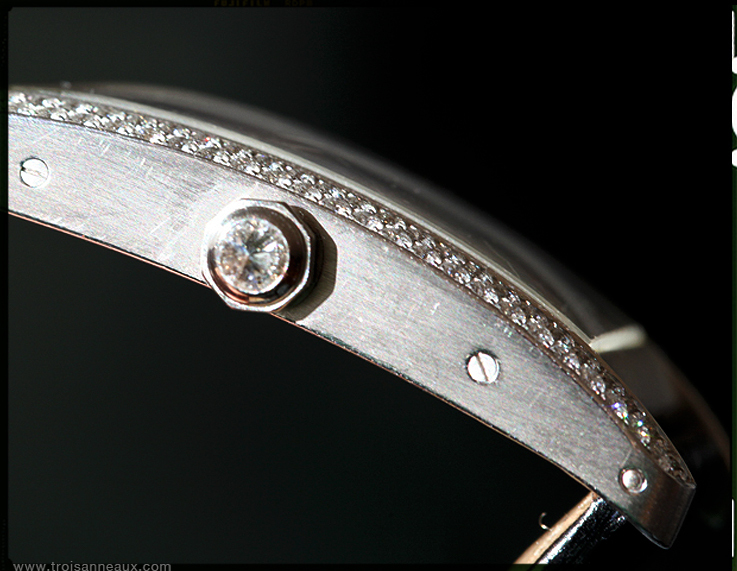 Cartier advised to replace the glass, crown and dial. The crown was a pity to replace, but what has polished away, can not be brought back of course. The pictures of the crown, before and after the service, show the difference clearly. 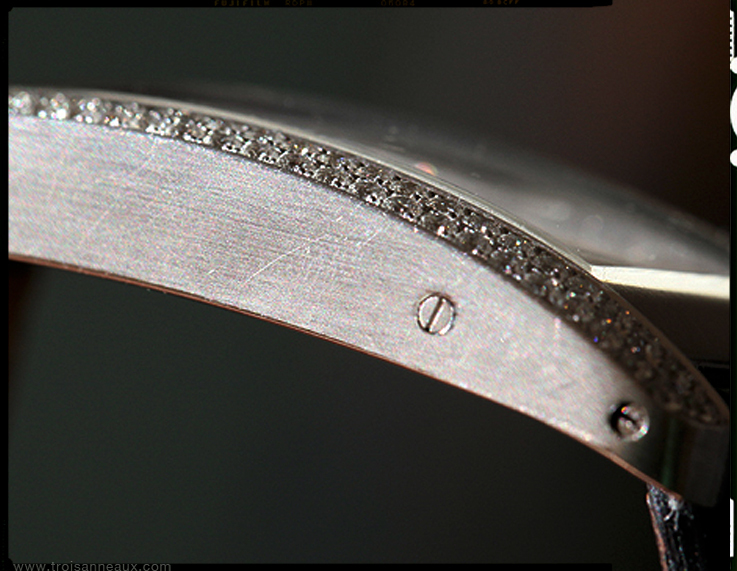 The rhodium was taken of the case and the watch was polished carefully. When that was finished, the case was rhodium plated again. The last four pictures show the result of he service and it’s hard to see the difference between this roughly 30 year old watch and a new one from the collection. This Tank Americaine is an older watch, but not a vintage piece and therefor, everything could be done by the local Cartier Service Centre. A watch from the twenties of thirties will be a bit more complex, since not every part is on stock anymore. 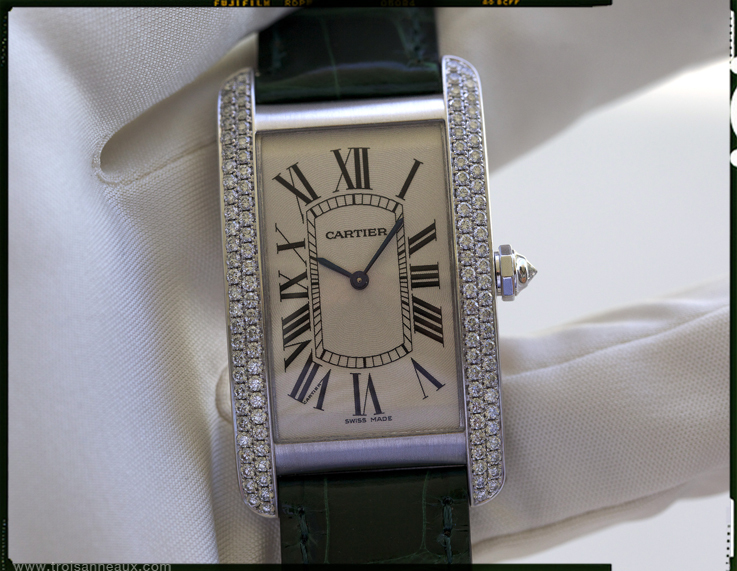 The good news for collectors is that Cartier is always able to repair and restore any Cartier watch. 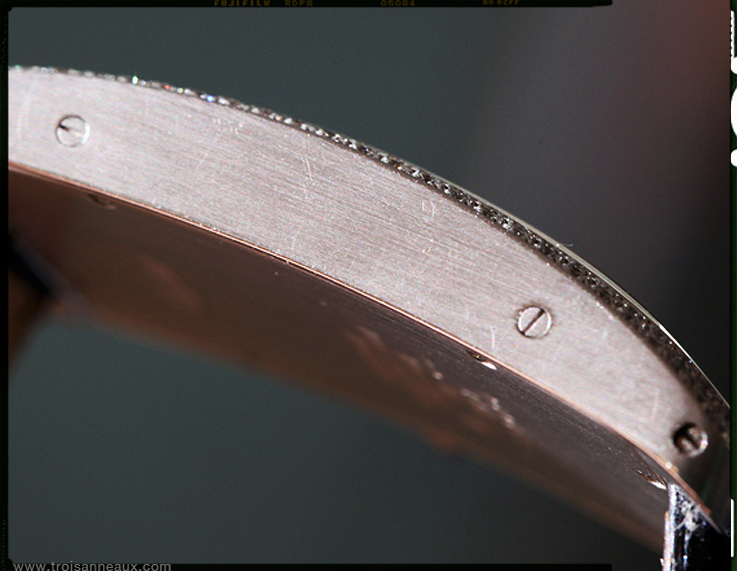 Cartier timepieces are made to last forever and can be repaired at any time! whatever its age or condition! 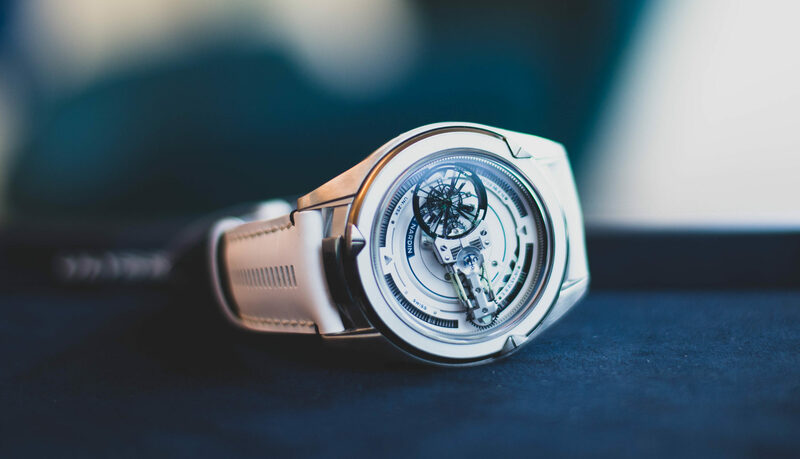 This is something, not any brand can say and it means that Cartier not only gives the highest priority to further developments in watchmaking, but also that they still fully support their creations from early 1900! 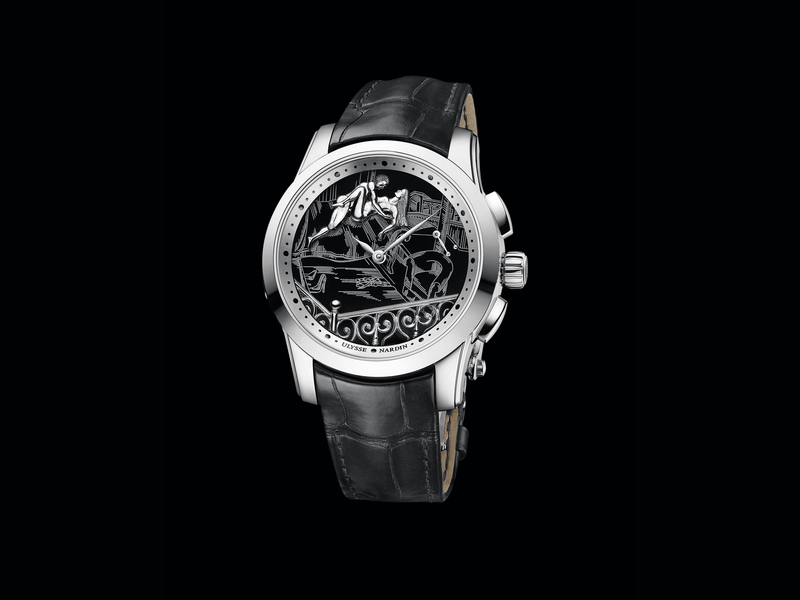 Cartier has created quite complicated watch cases and therefore also difficult shapes of glass. Prime example is for instance the Crash watch, the Tonneau or the Tank Asymetrique. These models have curved or crooked shaped mineral glass. 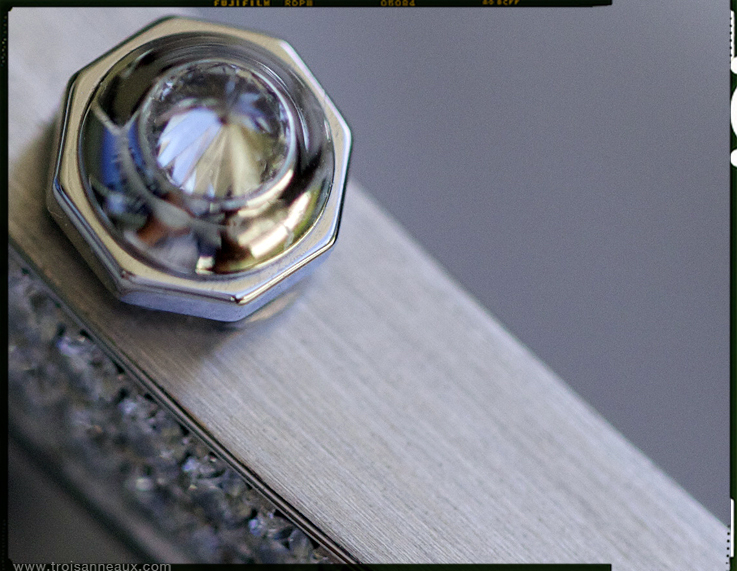 Cartier manufactures its own mineral crystal, to ensure creativity remains entirely unfettered. These crystals are designed with masterful expertise, in a variety of complex shapes to fit these extra ordinary watch cases. 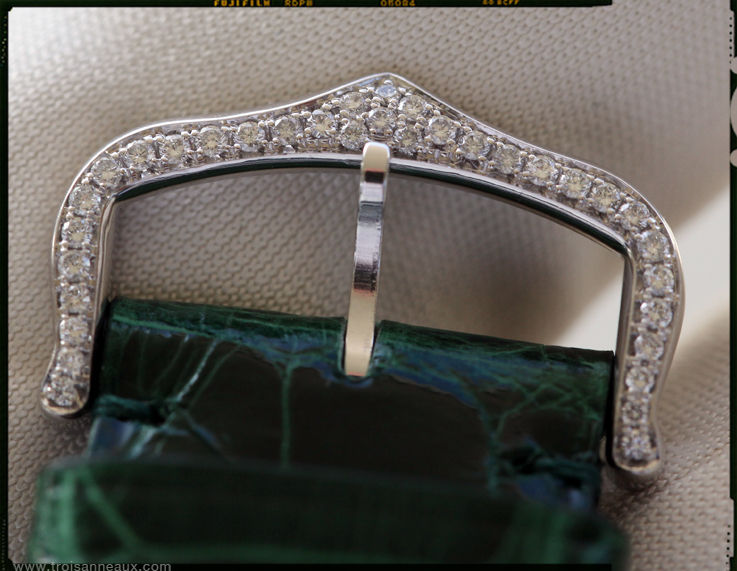 The outline of the mineral crystal , is polished by hand, to create smoothly rounded edges and to ensure, that it fits perfectly into the vintage case. The same can be set about hands. 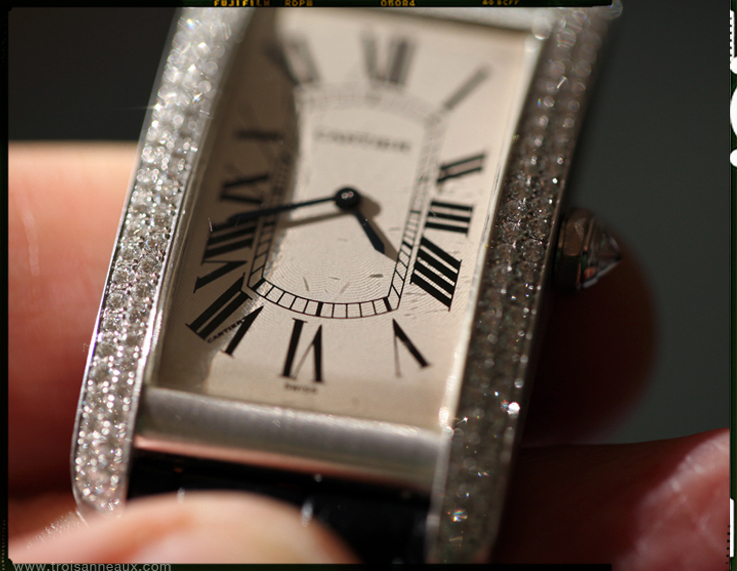 Cartier produces all the hands for their collection of watches and clocks in house. and each hand no matter from which period it dates, can be re produced, to fit that vintage clock or watch. is nothing to worry about.